P.R Automotive Mechanical Repair Centre has been offering comprehensive car servicing including front wheel drive repairs and maintenance for Adelaide and its surrounding suburbs. With many late model small to medium size vehicles being front wheel drive a common wear problem is the c.v joints in the drive shaft. We carry out automatic transmission servicing and repairs, clutch replacements, steering and suspension repairs, brake replacement and all general servicing. ALL repairs and overhauls are covered by our 12 month/20,000km warranty. 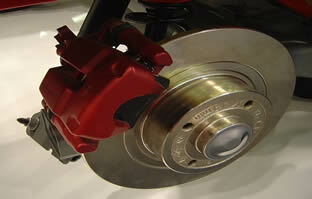 Come in to a trustworthy repair centre for car servicing in Adelaide. 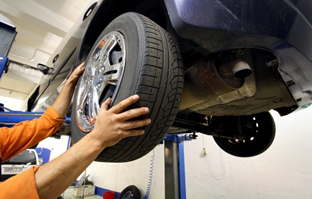 At PR Automotive Mechanical Repair Centre, we offer quality repairs that will last. Plus, we know that you have families to support and bills to pay, so we make sure all our services are affordable for you. We repair and maintain your vehicle so it's ready to go whenever you need it. For many late model small and medium vehicles with front wheel drive, it is very common for the CV joints in the drive shaft to wear down. Our mechanics know how to resolve this problem to get your car back on the road. PR Automotive Mechanical Repair Centre is a friendly South Australian owned & operated business and have been serving customers throughout Adelaide. Since 1990, we have been offering affordable car servicing in Adelaide for nearly 30 years making us one of the most respected repairers in Adelaide and South Australia. While repairs are important, remember that regular car maintenance is crucial to prevent problems. Come in for regular tuning and servicing on your vehicle. We're open Monday through Friday and Saturday mornings. Schedule an appointment Call 8346 8870 or fill out our online contact form and let's get your car back on the road.